Everyone wants to convert more leads into sales. But what are you actually doing to achieve that result? Most businesses waste countless hours tweaking logo designs, hiring inexperienced people, and blaming their customers. However, the problem is closer than they think. Yes, their website copy is trash. Visitors arrive and receive no sense of direction. They are frustrated by the overwhelming text, confused by what they should do next, and aggravated by the constant reminder to buy products. And if you don’t offer value quickly, they will try your competitor’s website. 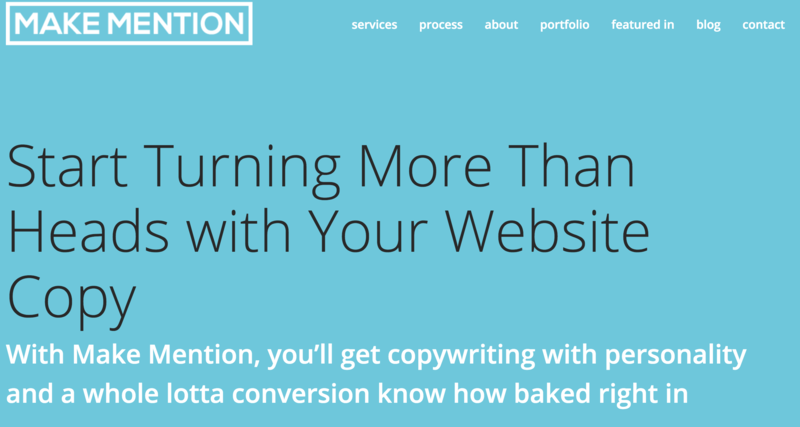 Conversion-driven copywriting is an art and science. It’s the interconnection of language, human psychology, and consumer behavior. 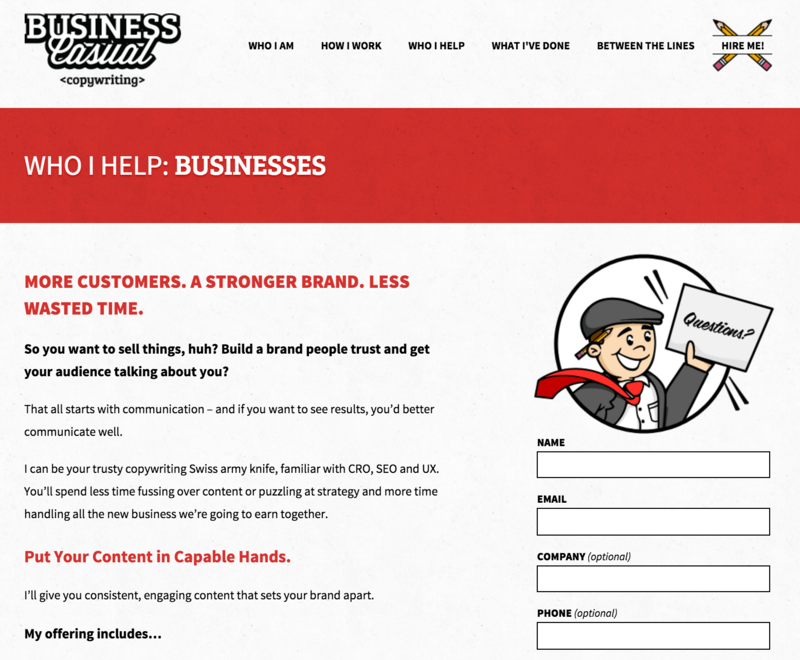 Does my copy persuade visitors to take action? Do I give value to visitors before selling my services? Am I offering social proof to validate my products? Maptive’s copy quickly tells visitors how they are different from the competition. Using three carefully picked adjectives, the company establishes itself with a product designed for a specific user. It also informs the buyer that simplicity is their motto, and no skill is required to get started. 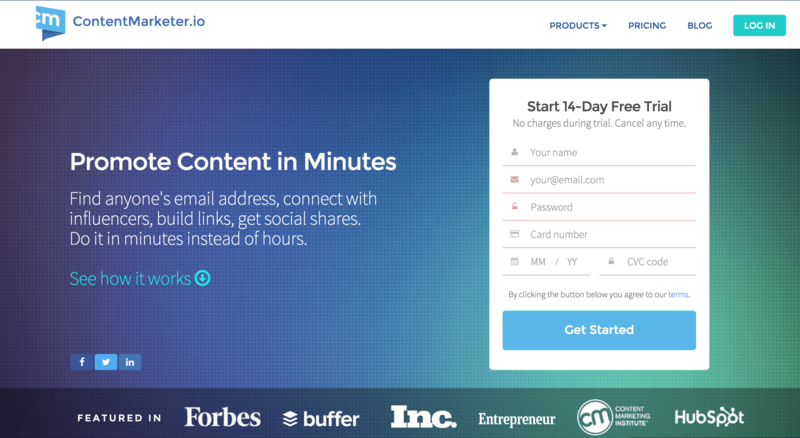 ContentMarketer touts its ability to help you in minutes. 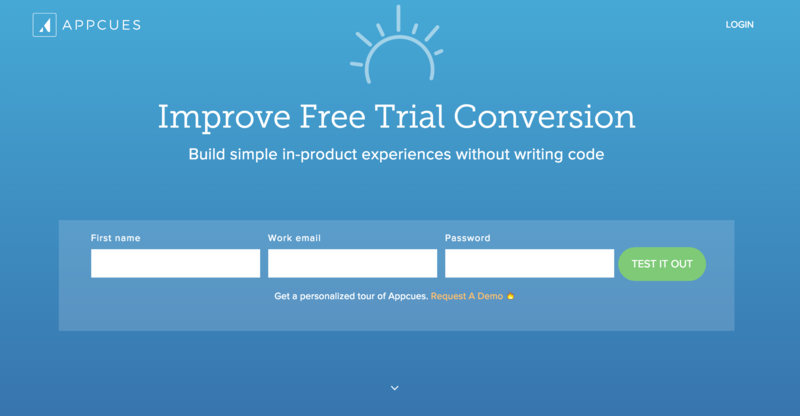 On the homepage, a visitor can easily sign up for a free trial and see the tool in action. For an added bonus, the platform also gives social proof by mentioning its features in Forbes, Inc., and Entrepreneur. KlientBoost offers a clean design. Rather than inundating customers with examples of their work, the team gives interested buyers three examples from their portfolio. They emphasize high-quality, custom designs by dismissing “cheesy templates.” Their focus is helping consumers achieve higher conversion rates through customization. WhenIWork introduces visitors to straightforward and descriptive text. It eliminates basic questions asked by the buyer like: do you have an Android version or can employees request time off? Even the copy on the phone gives a clear example of the product in use. 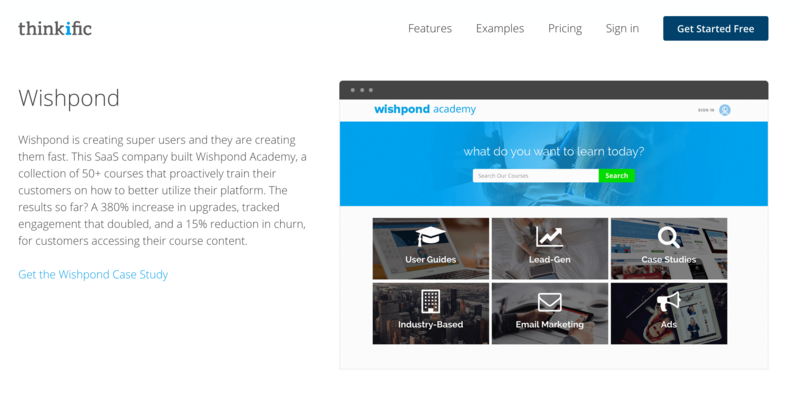 Wrike doesn’t shy away from showing customers their expertise in work management. The example below magnifies typical pain points with the opportunity to solve them. Downloading their free eBook motivates visitors to handle their current challenges head on. Their path to earning more leads is effective. Import.io explicitly tells potential buyers the purpose for their product. With an abstract concept like data, customers may push it to the side. However, this copy offers compelling ways to use data extraction services. It takes the guesswork out of the equation. Problogger gives visitors options. With a plain explanation, customers know what the next click will lead them to. There’s no assumptions on where to find the right information. So, if you want regular episodes to create great content, the podcasting section is where you need to be. Kristi Hines knows and writes amazing copy. Without the need to scroll down, she tells visitors who she is, what she does, and how she can help them. And don’t forget about her highly-visible call-to-action. Her fixed headers are also self-explanatory. 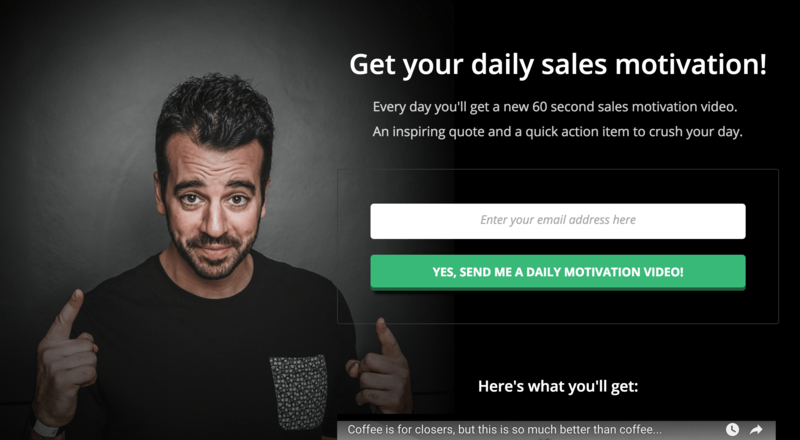 Serial entrepreneur Hiten Shah wants his website visitors to take action immediately. He offers a value proposition and then directs them to subscribe to his weekly email. There’s also a sense of security knowing that your email address will never be shared with a third-party. TechWyse takes social influence to a whole new level. Not only do they detail who their clients are but also give visitors a video featuring their customers. And the short video descriptions are relevant. Moreover, there is a call-to-action to see more reviews on Google+. SessionCam displays its integrations with pride. The copy tells us exactly how third-party party tools work with their platform. For example, SurveyMonkey + SessionCam = Consumer Voice. By directly citing these applications, users know exactly how to take advantage of the platform and the impact it will have on their business. With 12+ years of Internet marketing experience, Sujan Patel grabs his audience attention immediately. Above the fold includes a testimonial from an influencer, noteworthy publication mentions, and a five-star client list. And notice how the quote sums up Sujan’s brand. Wordstream hits home by showing buyers how they can save time and money on their next PPC campaign. Their nifty calculator is easy to use and isn’t overshadowed by jargon. They also underline how they support several forms of currencies, depending on your region. 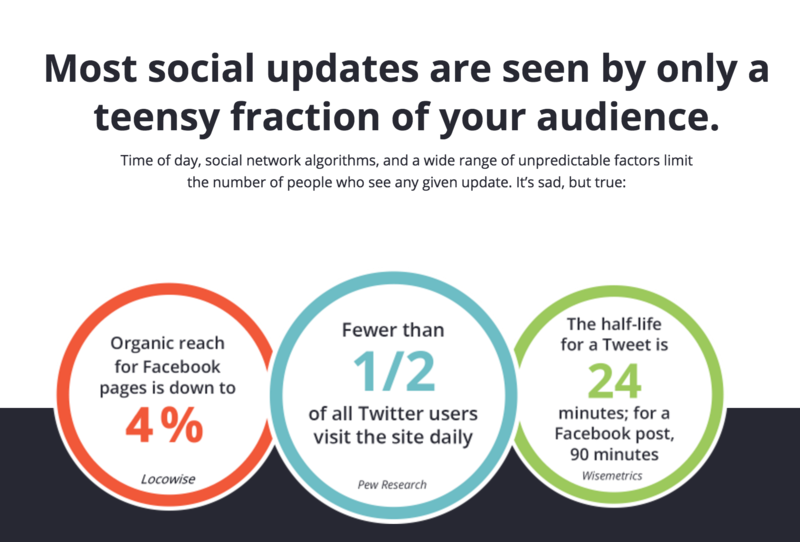 Social Media Examiner offers massive value with their industry report. The guide highlights their expertise and gives the visitor new knowledge. Note how they praise the inclusion of 80+ charts and 3700+ marketers. It’s hard not to sign up for a free copy. Content marketing consultant Barry Feldman introduces his workbook as a solution to your online marketing needs. There’s also a sense of urgency to download the free planner today. Unambiguous calls-to-action alert the reader to act now. 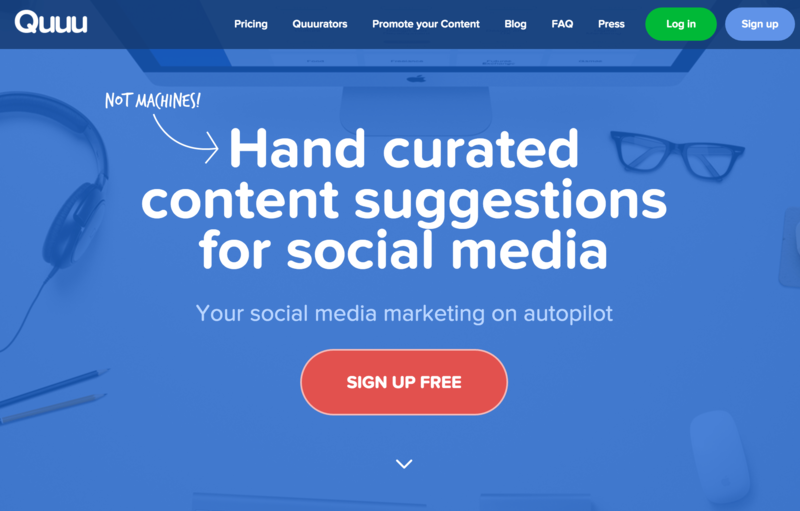 AppCues encourages businesses to improve their conversions for free. Who wouldn’t want that? Even the ‘Test it out’ button signifies an opportunity to experience the platform without delay. The team hints at personalization with their demos. Search Engine Land gets straight to the point. They want you to read their awesome content. 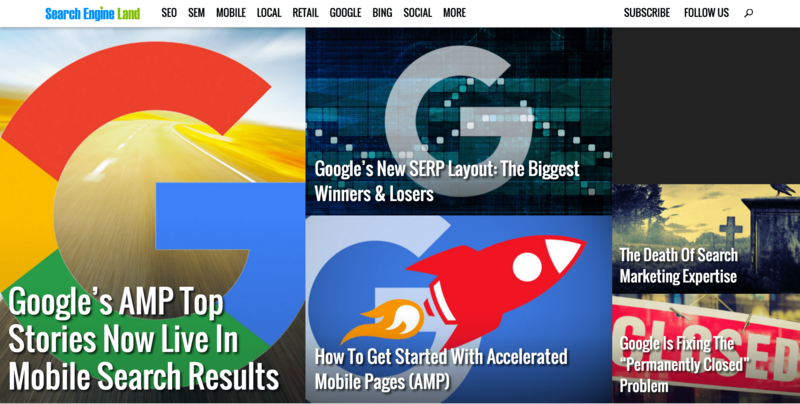 From how-tos to industry news, the site’s headlines entice the reader to click to learn more. If you’re interested in a particular topic, check their headers. At LeadChat, we want our customers to boost their conversions quickly. That’s why our website provides a bold call-to-action to get a demo now. We also point out how our “team” will help you reach those 3x results. Ian Anderson Gray is serious about digital marketing. 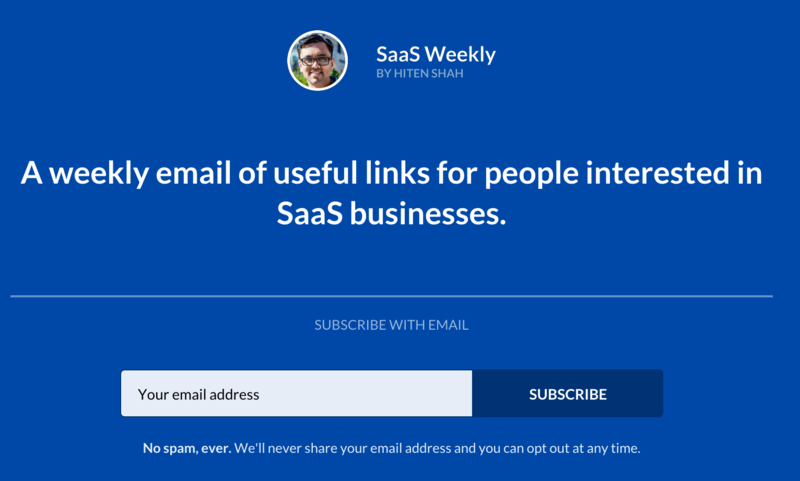 He explicitly tells visitors what they will get from his newsletter and how it can help them. Ian knows his audience gets excited with words like, “best,” “latest,” and “hacks.” His guide is worth adding to your toolbox. UK Linkology chunks effective copy into brief scripts for their visitors. Each category touches the customers’ pain points and reconciles the hurt with their product solution. Plus, if you need additional information, you can always click “More Details.” Very useful! 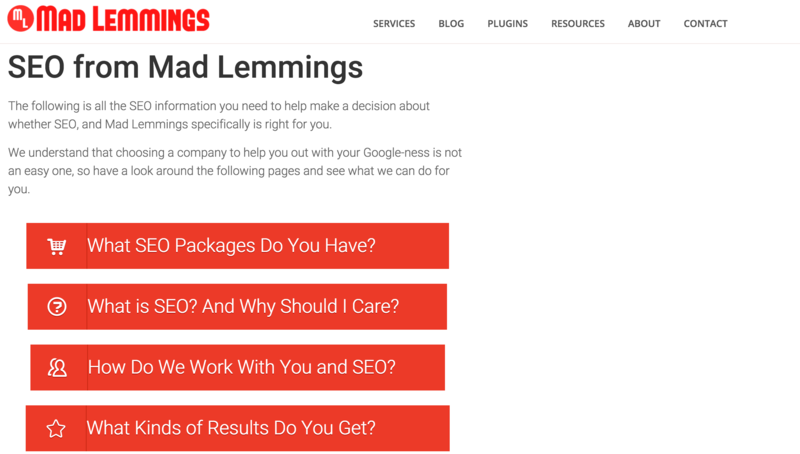 Mad Lemmings focuses on breaking the SEO process down to the visitor. Instead of piling loads of content on the person, the company gives the visitor the option to choose what he or she needs to know. Consumers know what they want; give it to them. 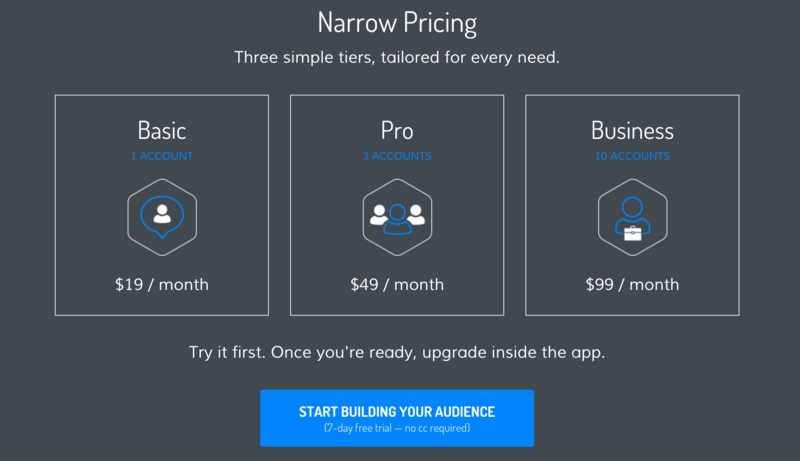 Narrow.io’s pricing page is straightforward. Each pricing tier tells the visitor what he’s receiving and the cost. The call-to-action also reassures the user that no credit card is needed for the free trial. Bing, bang, boom! ConversionXL is blunt on its homepage. They remind you why you need help. Then, they offer you the best option to receive first-class assistance‐through their in-depth blog. For their audience, phrases like “field-tested” and “data-driven” are icing on the cake. Thinkific places its clients on a pedestal (and rightfully so). Their client page offers potential buyers a chance to learn about the results they produce for others. Who wouldn’t want 380% increase in upgrades, double the engagement, and a 15% reduction in churn?!? 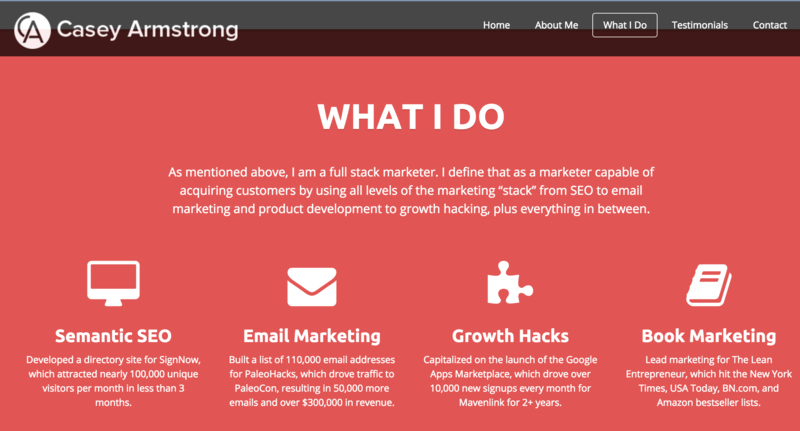 Casey Armstrong is a full stack marketer who knows his craft. His copy displays all the skill sets needed to help businesses with customer acquisition. 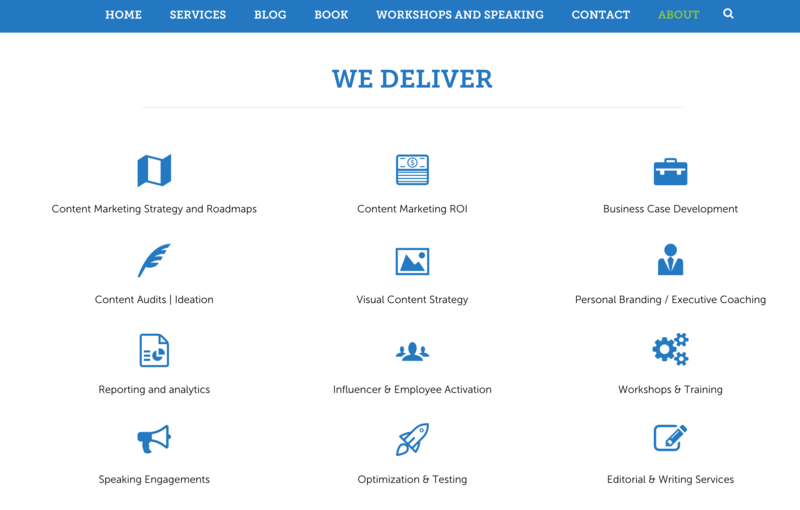 From Semantic SEO to Book Marketing, Armstrong shows you what he can achieve for your company. AppVirality uses creative package names to grab the visitor’s attention. 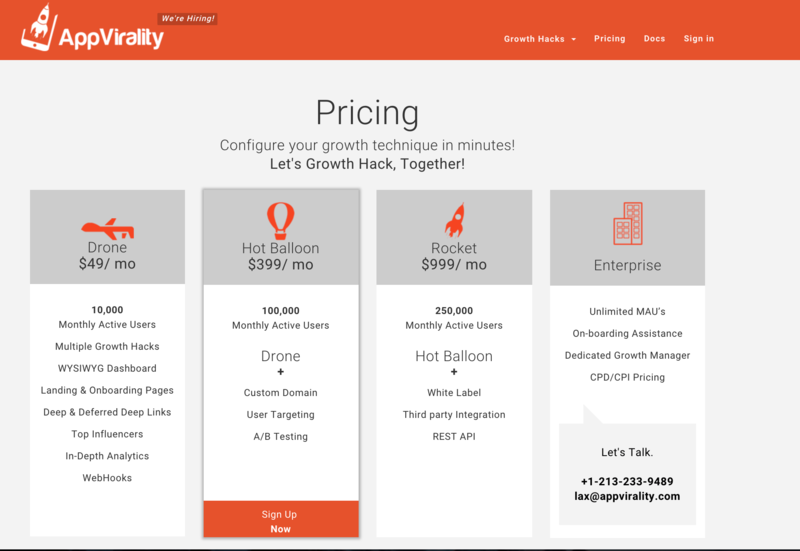 Their pricing page lays out what you will receive and encourages you to choose the most value-based service package. Got questions? The company lists their phone number and email address. 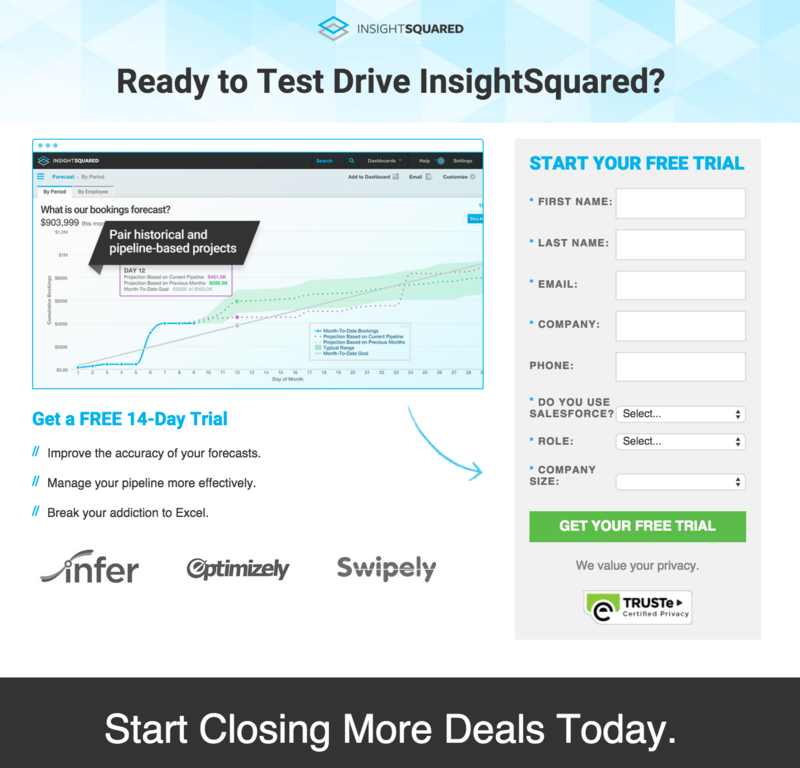 InsightSquared wants to put you in the driver’s seat. The platform outlines the results you will receive, lists notable customers, and ensures your privacy when filling out the form. This business understands that their consumers want to close more deals. 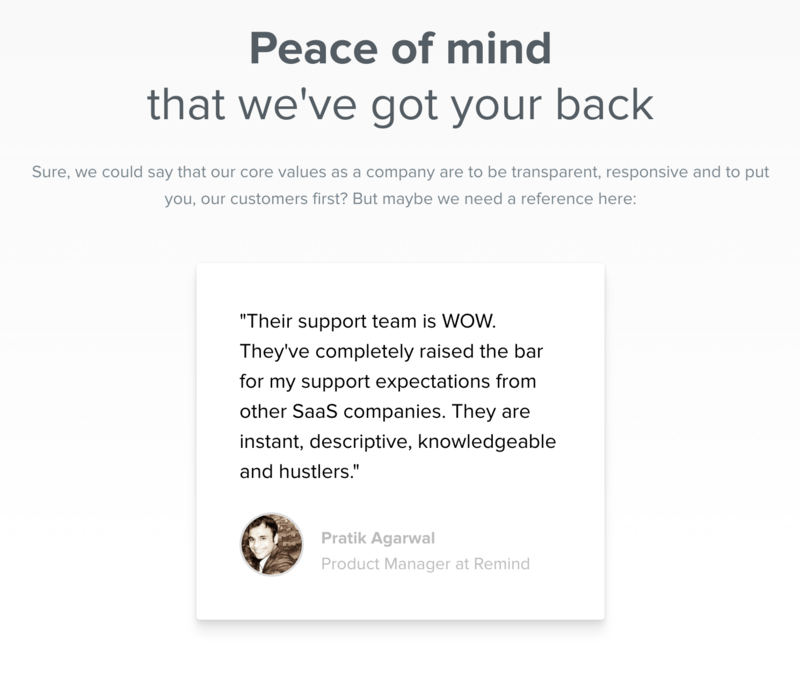 Customer.io hits a homerun with emotional copy. The world of business is hectic. So, offering peace of mind is stellar. And the customer trusts that you will remain transparent and responsive. They walk the walk by giving a reference, too. Inturact underscores their tailored approach to improving businesses. They alleviate customer concerns by focusing on accountability and ROI metrics. 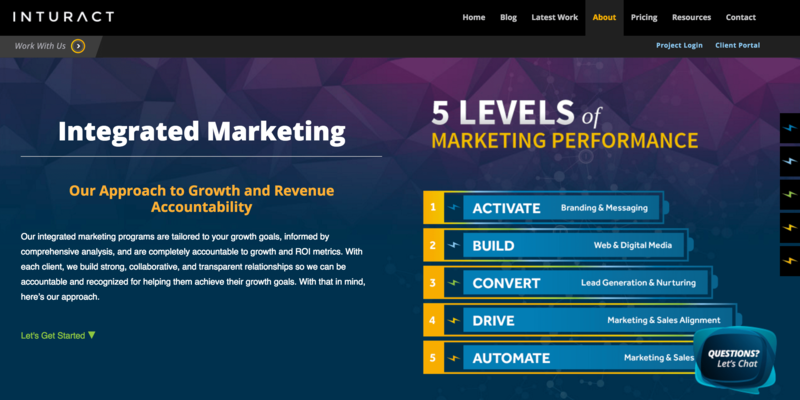 Moreover, their “5 Levels of Marketing Performance” displays their approach to solving your problems. Everything centers around growth. Close.io is serious about sales. And to show it, they insist sales teams take action with their motivational videos. They also value your time; so, it’s only 60 seconds. If you continue to scroll down, you’ll see a preview of what will arrive in your inbox daily. 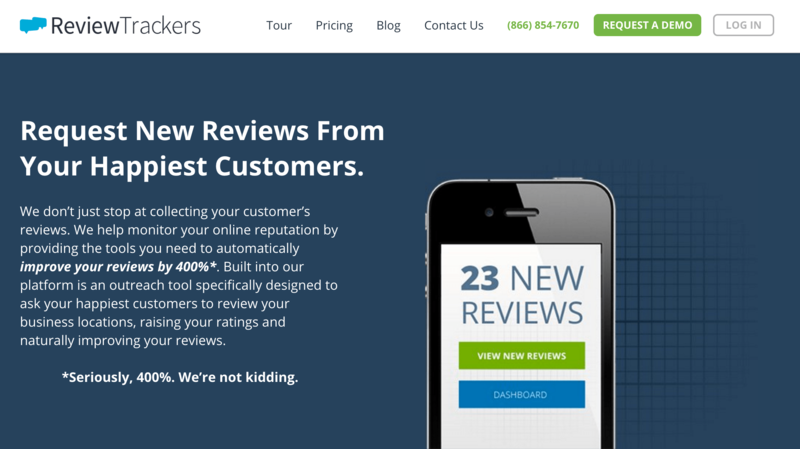 Kissmetrics pinpoints its promise to deliver. This copy triggers its customers with keywords like, “optimize” and “insights.” And if you’re skeptical, they offer you to try the platform. Their added bonus is transforming complexity into simplicity: Learn to set up analytics without writing code. Crate brings it back to why their services are necessary. It’s not about you; it’s about your audience. The team explains their process for helping you tell better stories. Even the example features the best of the best: Mashable, Ben Horowitz, and Drake. Mention dispels the complication of their software by encouraging the customer to ask for a demo. They show great pride in helping ensure you succeed in the process. For more details, check out their carefully crafted headers. See it in action! Shopify knows what their potential buyers fail to do. 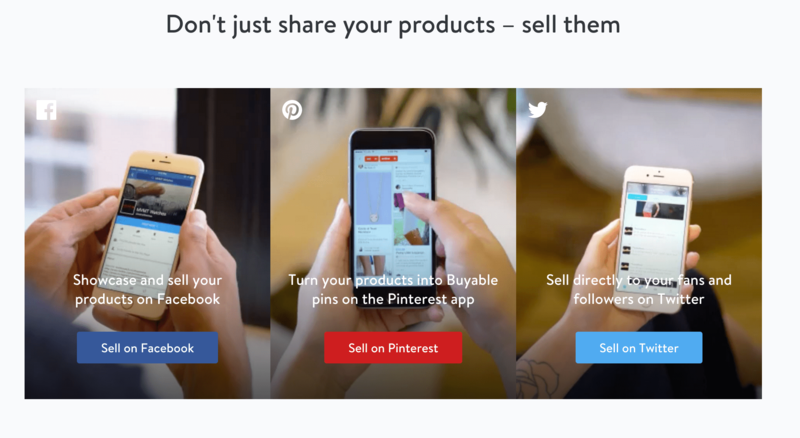 Caught up in the race to share products online, this eCommerce company shows their customers how to sell products on social media. The copy is bold, relevant, and necessary for their audience. Sell, sell, sell. Orbit Media showcases what truly matters. It gives an honest reason to buy their book (with thousands of conversations) and to trust their services. They also give a glimpse of who will work with the customer. 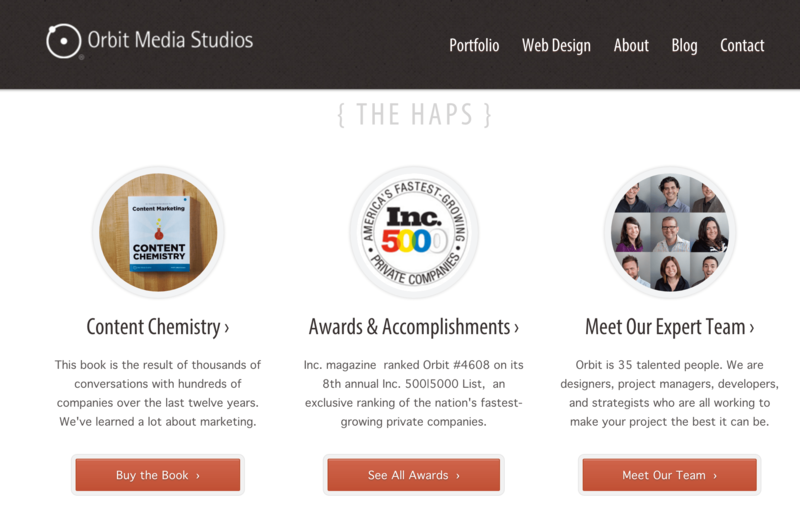 Orbit Media wants your project to be the best. Quuu hits automated systems in the gut with their copy. It spotlights the importance of putting your social media marketing in the hands of humans, not robots. And don’t worry about pricing, sign up for free. It’s an enticing offer for any customer. Jones Marketing Solutions exposes their friendly personality. They want their customers to be perceived as part of the family. 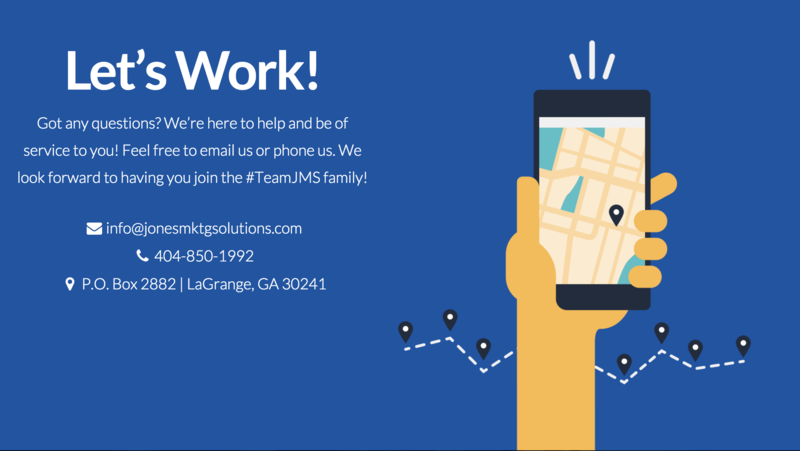 The company even has a neat hashtag: #TeamJmS. They list their phone number and email address. If you’re ready, they are too! 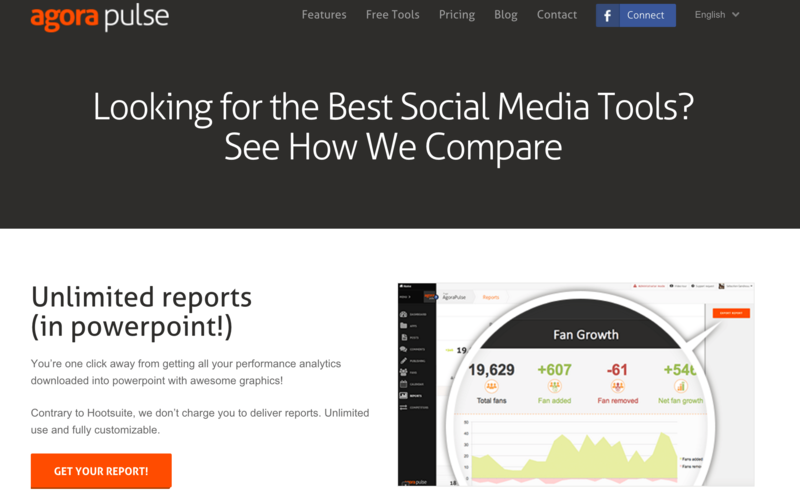 AgoraPulse knows you might be shopping around for social media tools. So, they position themselves as the best with unparalleled comparisons. The brand relates back to the ease of the platform and how it can be customized to meet your needs. A good approach to stand out from the competition. The Marketing Insider Group understands that content marketing includes several pieces of a larger puzzle. And that can be confusing for some customers. To avoid any misconceptions, the company states a wide-range of services, from strategy to speaking engagement. You need it; they deliver. Violeta Nedkova’s copy displays her down-to-earth personality. Rather than talking about her services, Violeta introduces herself by saying what she enjoys. Plus, she relates to creative rebels by referring to her likeness for unconventional ideas. Visitors leave refreshed and inspired. 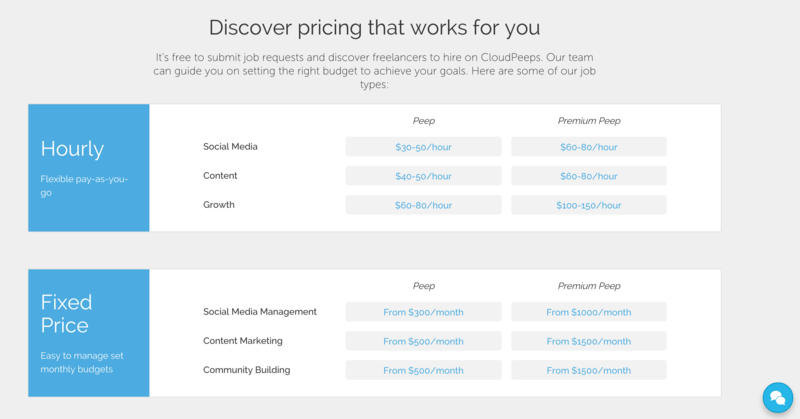 Cloud Peeps touts how easy you can find and hire a freelance marketer. And they don’t shy away from telling you how much it will cost. This copy lets the customer decide what will fit into their budgets. Consumers know upfront what they receive. Earnworthy understands the importance of nurturing incoming visitors. 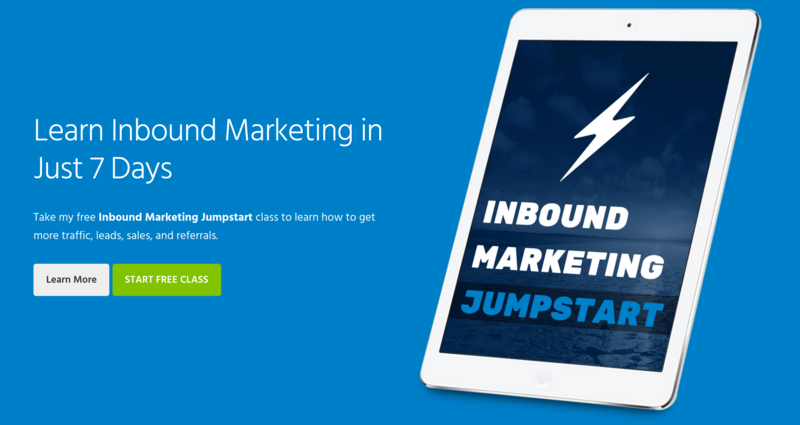 This business gives individuals a free class to learn inbound marketing in 7 days. Customers save time and earn knowledge. It’s all about priming the lead for the buyer’s journey with a valuable resource. 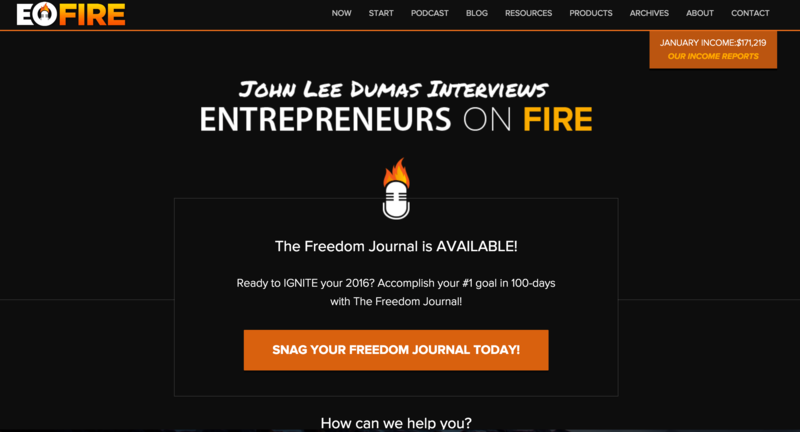 Entrepreneurs on Fire wants their customers to achieve greatness in 2016. They do things a little differently. This well-established brand encourages visitors to grab their product. But they also offer free goodies once you scroll down. You can also see results from their income reports. 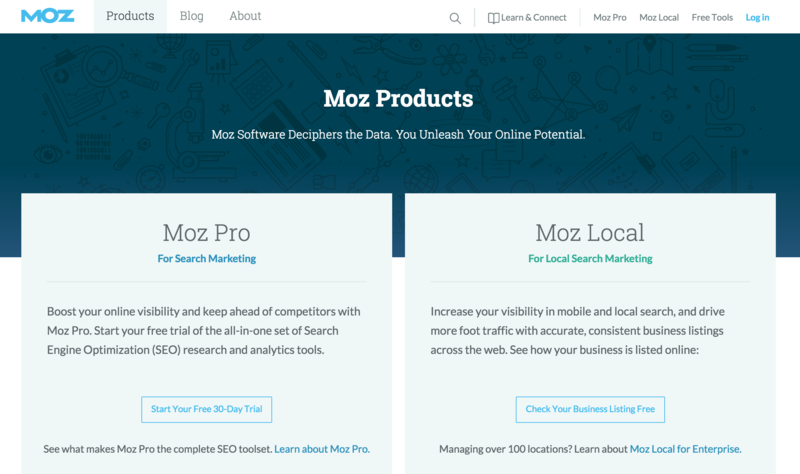 Moz empowers customers to take charge of their data. Their product descriptions highlight how to beat competitors and measure the results. There are no exaggerations or nonsensical claims. Also, notice the direct calls-to-action and the options to learn more. Educate your visitors. Business Casual Copywriting eats, sleeps, and breathes premium copy. Using a personal tone, they speak directly to the needs of their customers. Disclosing exactly what frustrates the customer makes them a powerful example. If you need answers, just fill out the form to the right. 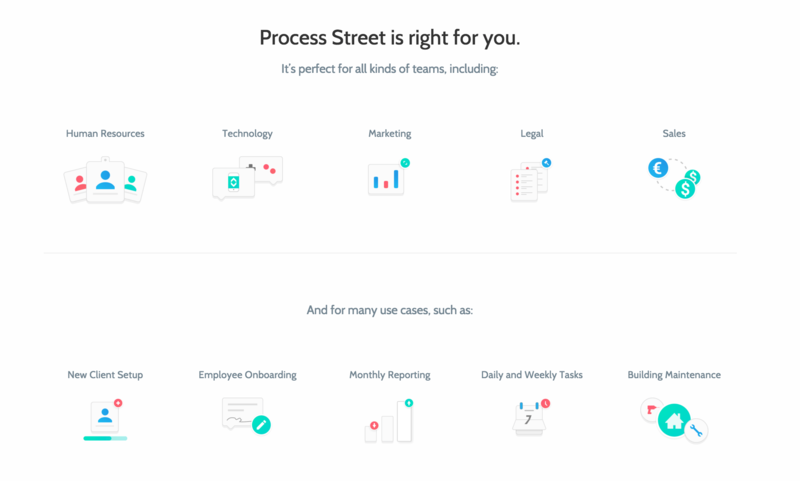 Process Street knows that they just don’t cater to one type of business. Their website discusses the different types of teams they work with. The company also stresses how their software can work in several situations. That’s why they are right for you. Ahh, Banana Splash! Businesses want to optimize so many things. And optimization isn’t created equal. 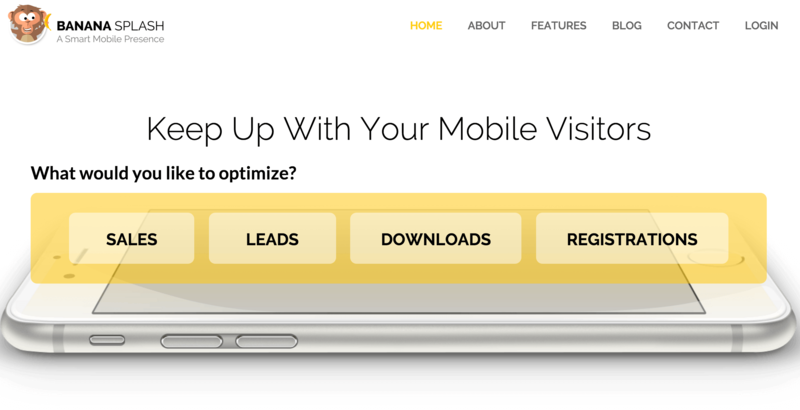 So, this company builds a smart mobile presence by asking a basic question: What would you like to optimize? The customer then selects what he or she needs. If you’re not familiar with Ann Handley, let me introduce you. Her about page establishes credibility with references about her books, executive title at MarketingProfs, and speaking talents. 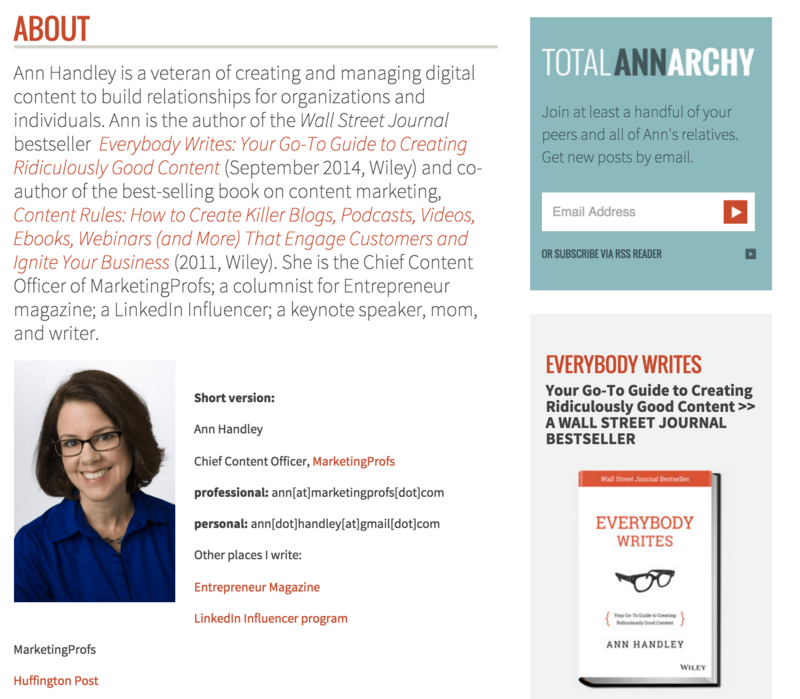 Ann’s personality shines in her newsletter called AnnArchy. This copy inspires you to learn more about her. Ron Sela is upfront about who he serves and how he provides value. 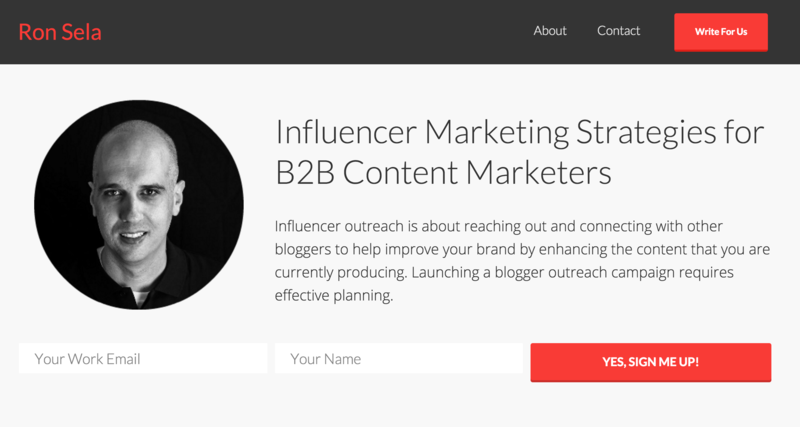 Ron also quickly defines influencer outreach, so customers know exactly how he can help. Visitors can explore more about signing up for his newsletter or checking out his contact page. Edgar knows the power of numbers as a persuasion technique. The platform uses eye-opening statistics to heighten the customer’s awareness. The data is also backed up by reputable sources. After reading this, the visitor will be eager to learn how to solve their problem. Express Writers streamlines the process from a blank document to a finished content project. They explain the steps in a simple manner to entice visitors to try it out. Express Writers knows their customers don’t like cumbersome procedures. So, showing customers how they work builds trust. 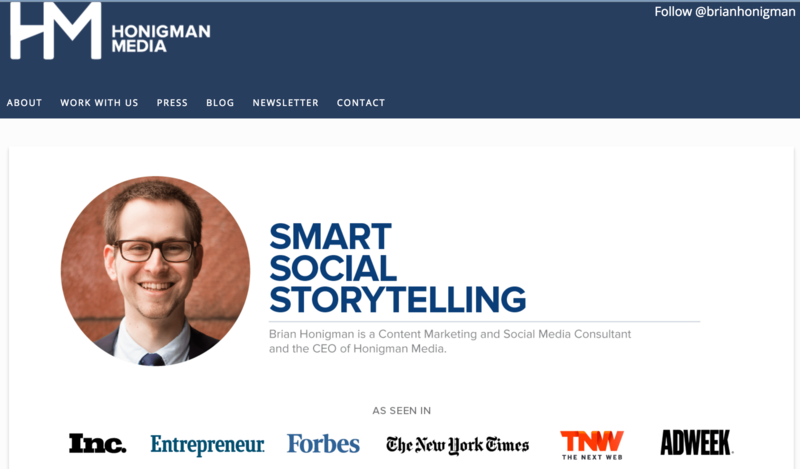 Brian Honigman represents the epitome of clean copy. Brian states why you need him and then shows social proof of why you should trust his work. Sometimes it’s best to just state who you are with an appealing tagline. Brian is smart social storytelling. 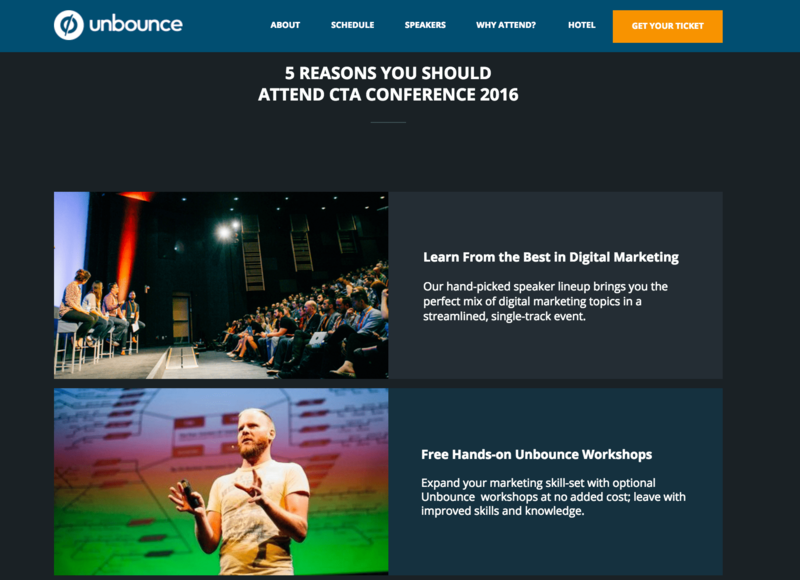 Unbounce’s conference page needs no introduction. If you’re wondering why you should attend, their team gives undeniable reasons. People don’t want lectures, so they emphasize the hands-on component (with no additional costs). Visitors also can view the schedule, speakers, and hotel. Make Mention draws visitors in with high expectations. Customers desire more than visibility. So, conversion copywriter Jen Havice seals the deal with a promise to convert. Using engaging phrasing doesn’t hurt either: “whole lotta” and “baked right in.” This makes the customer comfortable. Ryan Robinson knows customers want expert knowledge. 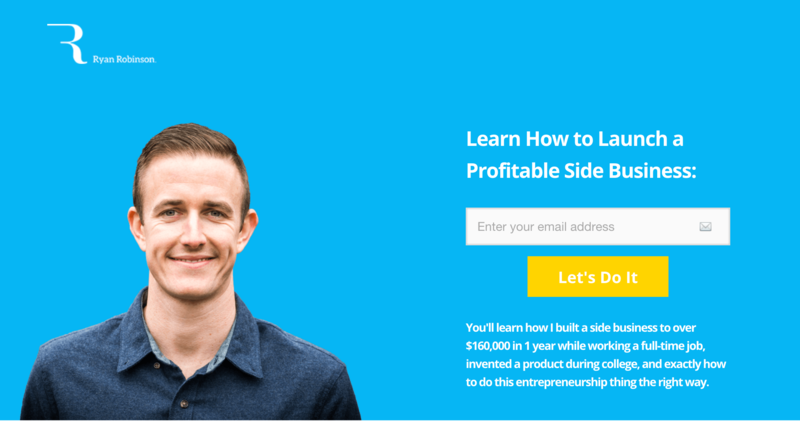 On his website, he briefly discusses his profitable side business to validate his expertise. Ryan offers new possibilities and a different way to achieve success. His call-to-action even motivates you: Let’s Do it. Outbrain is delighted to offer their customers first-class services. The brand wants buyers to feel comfortable that their premium products will have you outshining your competitors. Social proof is also provided to certify that they only work with the best. You’re next! Review Trackers goes above and beyond the call of duty. They want customers to know they do more than their competitors. In addition, the platform offers a guarantee to improve your reviews by 400%. They also explain how the company will get you the results. 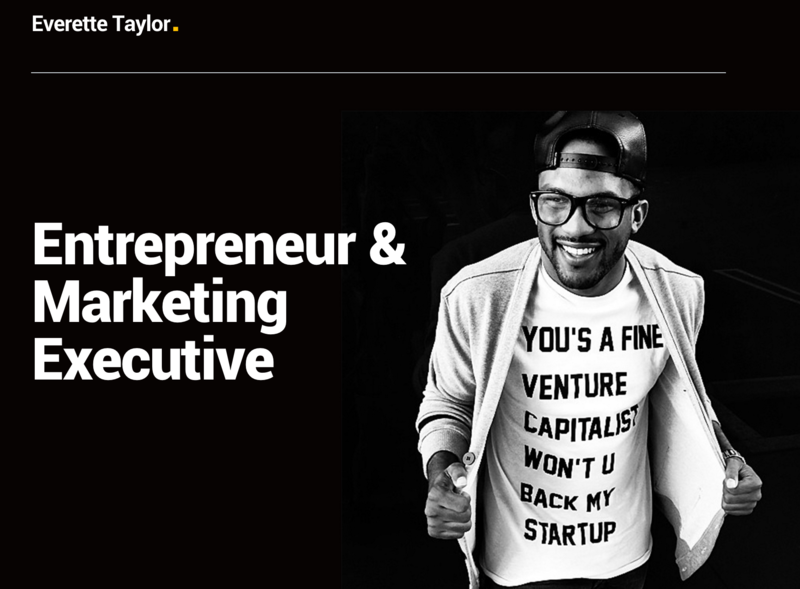 Everette Taylor shows how less is better. He labels himself as an entrepreneur and marketing executive. And then gives the visitor more of his personality via a T-shirt print. It’s genuine. 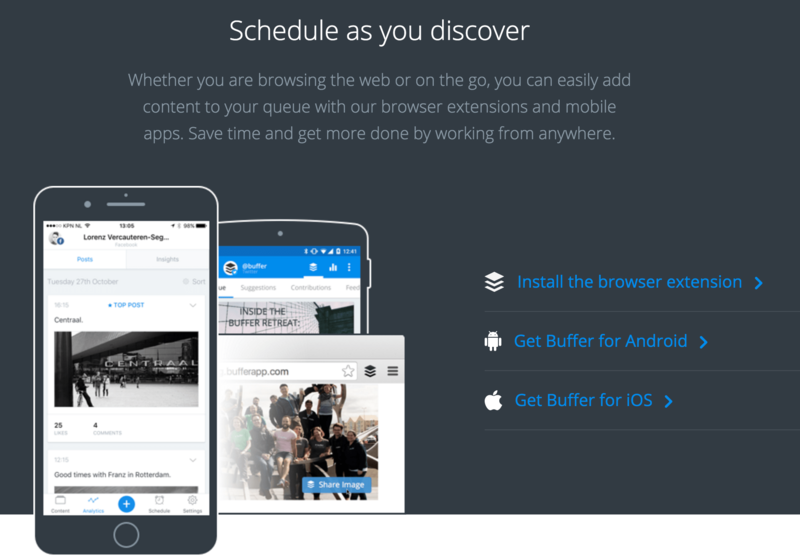 Buffer spotlights convenience. The team gives you the option to add content to your queue on your timeline. So, no matter the device or location you can save time. It’s about doing things your way. What other websites would you add to this list? We want to know your favorite examples. Leave a comment below. Hey, excellent article! Thanks for mentioning my site. That’s a super awesome collection of websites and how they have used sales copy to engage the customer. Definitely something to keep in mind while making a sales funnel or sales copy. It would also be great if you feature some ecommerce sites and analyze their copy and website design to get better conversion rate. Great article. I prefer using import. io and Octoparse.